William Conor arrives at Bloomfield Auctions. 12 Paintings by the famous and much loved artist William Conor have arrived at Bloomfield Auctions in time for our Online Sale on Tuesday 12th March 2019. These paintings never seen before until last year on the Antiques Roadshow, were tucked away in a roofspace for over 30 years. They are currently owned by the descendants of his good friend Jimmy Vitty and it is now that they feel the paintings should go to a home where they will be displayed and loved. The collection comprise of watercolours, crayons, charcoal and pencil coming in all sizes and a varied range of scenes etc. William Conor OBE RHA RUA ROI (1881–1968) was a Belfast-born artist. 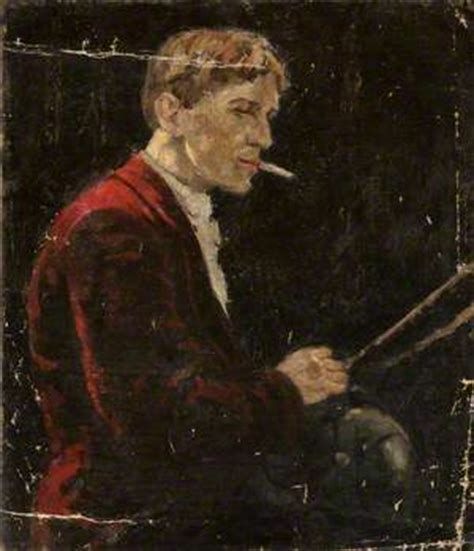 Celebrated for his warm and sympathetic portrayals of working-class life in Ulster, William Conor studied at the Government School of Design in Belfast in the 1890s. Born in the Old Lodge Road area of north Belfast, the son of a wrought-iron worker, his artistic talents were recognized at the early age of ten when a teacher of music, Louis Mantell, noticed the merit of his chalk drawings and arranged for him to attend the College of Art. He moved to London in 1920 and there met and socialised with such artists as Sir John Lavery and Augustus John. He exhibited at the RA in 1921 and in Dublin at the RHA from 1918–1967, showing there nearly 200 works. Conor was one of the first Academicians when the Belfast Art Society became the Ulster Academy of Arts in 1930. He became an Associate RHA in 1938 and a full member in 1946. Exhibitions at the Victor Waddington Galleries were held in 1944 and 1948. In 1952 he was awarded the OBE and in 1957 he was elected President of the RUA - an office he held until 1964. More than 50 works of his in crayon and watercolour are in the permanent collections of the Ulster Museum.